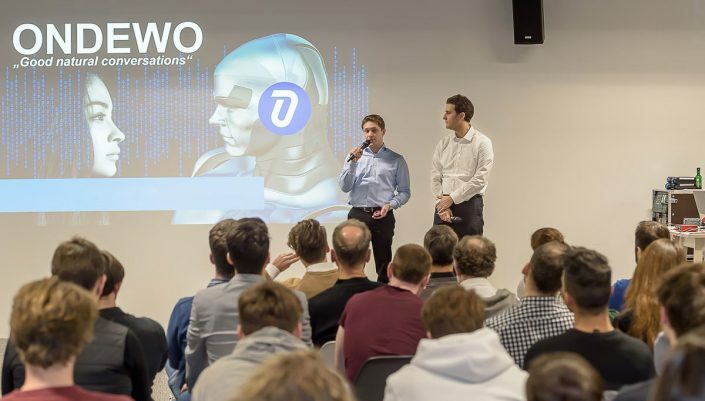 Last week, we had a chat with our Empower Austria partner, ONDEWO, an awarded Austrian high-tech startup developing AI-based natural language understanding and automated conversation flows. ONDEWO helps companies digitize their human-machine-interface and “stay human” at the same time. They’ve developed a “SMART DIGITAL ASSISTANT Platform” that builds on artificial intelligence, NLP technology, machine learning algorithms and an automated conversation flow management framework. This winter, they participated in Empower Austria, our 12-week startup internship program, and took an intern from the Netherlands — which proved to be a great success. We’ll let CEO and CTO Andreas Rath explain to us why. AIESEC: What was important for you to consider while choosing an intern? Andreas Rath: We consider fit with team as well as cost-benefit aspects. First, fit with the team is important so that effective collaboration as well as team fun can be achieved. Second, we are happy to invest into good interns by training them, challenging them and thus helping them grow and develop. For these investments, we are of course also looking for a return. Thus, interns are always welcome if they use this personal growth opportunity, choose to play a significant role in the company and contribute to success and impact. A: Why did you choose to work with an international intern? R: The two founders have a strong background and very good experience with work in an international context (e.g., USA, Canada, Netherlands, France, Finland, UK, Italy, Middle East). Furthermore, we are already an international team at ONDEWO with employees from Austria, Germany, Netherlands, the Philippines and Ukraine. International interns are thus a highly welcomed addition. A: You’re currently working with a Dutch intern, Leoni. How has Leoni contributed to your startup? R: Leoni had great impact already. She was given a lot of freedom and responsibility to handle HR, Marketing and company operations and excelled along all tasks with her highly motivated and self-driven approach, her strong analytical skills and structured way of working and her drive towards excellence. A: At which point of your startup development did you see the need for increasing the number of employees? R: From the first second on. Our business model is based on scalability and there are always too many topics and not enough hands. Being forced to prioritize from the first day on, we focused on finding grant money of which we invested 90% into hiring more employees. We are growing now and we will continue to grow the next years. A: What is the most challenging part when hiring people in a startup? R: Three things make it challenging: (1) Uncertainty in tasks, (2) job riskiness and (3) limited cash. First, there are no fixed positions in the beginning and the required skill set can shift even on a daily basis. Thus, finding experts and allrounder talents in one person that in addition can deal with the ambiguity and uncertainty of the task shifts is challenging. Second, without a proven track record and limited recurring revenue streams, startups are always the more risky choice for employees compared to secure jobs at established companies. Thus, startups need to find other ways to become attractive and compensate for this risk. Third, with limited cash in the startup phase, many interesting senior profiles are difficult to win. Bonus in 2 years or stock options don’t pay rent. Finding a compromise is required here. A: What HR structure are you using? A: What is an added value of having internationals in your team? R: International employees help us in three ways: fresh ideas, overcoming groupthink, and preparing for international expansion. First, we are building products that are at the cutting edge of technology. We like to include the latest thinking from all around the world and therefore rely on international employees. We believe that broad experience is always value adding. Second, teams can easily start to think and act alike, especially in small startups with frequent interactions. Bringing in new employees with different backgrounds in culture and language helps a lot! Third, we plan to expand internationally and thus need to better understand target markets. Employees with a native background are valuable first guides in this expansion. A: Describe your team and how are their background diverse, how has this shown when working together? R: We are diverse in many dimensions. Age ranges from 20 to 36. Male and female. Some techies and others with commercial focus. Employees with a doctor’s degree, others with practical experience. Some living in Vienna, others joining via video conference from a rural part of the Netherlands. Multiple nationalities, ranging from Austria, Germany, Netherlands, the Philippines and to Ukraine. Working together works well with a joint vision and shared values. A: Would you take part in Empower Austria again, would you recommend it and why? R: Yes, full recommendation and always again. We believe in exchange, and on top, we found great person to support our startup. Do you also want to grow your venture with young international talent? Find out more and drop us a line at empower.austria.at!